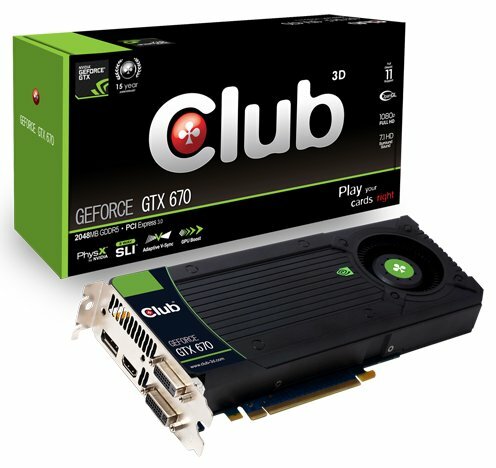 Club3D shows its new GeForce GTX 670. It's based on the stock design and has the reference clockspeeds. The Club 3D GeForce GTX 670 is the fastest and most power efficient GPU after the recently introduced GTX 680. But we didn't stop there. GPU Boost dynamically boost clock speed for performance. New FXAA and TXAA modes eliminate jagged edges. And NVIDIA Surround lets you game on four monitors from a single GPU.